As a birthkeeper (a term coined by the late midwife, Jeannine Parvati Barker) I uphold childbirth as a natural process of the female body, not a medical event. As such, I do not perform any medical procedures nor make any medical diagnoses. This is similar to a doula, who is a non-medical birth professional. Most doulas are trained to provide information and support for women except for women who choose to homebirth. However, as a birthkeeper, I have no problem attending a home birth. I also have ethical stances that do not allow me to be part of practices that harm women or babies. Experienced support for local women who wish guidance through the sacred women's mysteries of pregnancy, childbirth and mothering. At this time I am not attending homebirths as I have a baby in my care, but will provide pregnancy & postpartum support for anyone who requires it. My support is provided for women as a political act and I will not charge for my services for this reason. Check out the community system page for alternative ideas of how you can give back to the community. I believe that while there may be crimes against women and children worldwide on a scale that I can't always personally do something about, I most certainly can do something about the lives of women within my local community. I don't think women taking the initiative to help other women should come with a price tag. Women committed to natural birth want to be able to labour and birth according to their own individual desires and urges. They do not usually want their labour interrupted for routine childbirth management as is per the standard in hospitals. 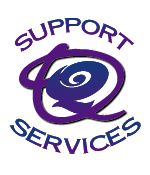 Quickening Support Services is designed to help women align themselves with their goal of natural birthing.